as long as you remain their lord. and three’s a crowd to break the deal. Today at toads, Hedge inspire us with the number three, and I could not refrain from being a little sarcastic today. To add to three I have written in terza rima. A very lively little poem, Bjorn, and you had me smiling throughout–the form is beautifully unforced, and the march of three really illustrates the power of the number, and the way it crops up in language and life in all sorts of unexpected ways. I especially like the first and last stanzas and the way the bracket the piece. Thanks so much for participating. Nice work, definitely captured the subject of 3. This had me smiling all the way through. Your terza rima is spot on! Oh yes, you’ve proven the power of three! 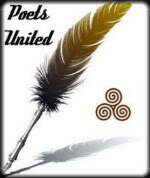 I am living proof of the truth of this poem, lol. Great write, Bjorn. I read this with a grin on my face. Since my sense of humor can play card with that of a twelve-year-old boy, I was of course giggling at the last line of the first stanza… and wondering if I should search the market, just to be sure. Love how by the end of the poem it is obvious that three can make you magic… or just break you. 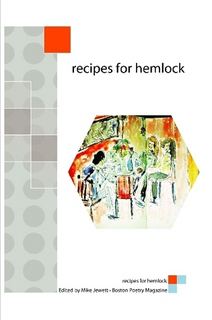 Very clever and much fun to read, thanks, Bjorn. K.
Great play with the number three, and using the form–too good. 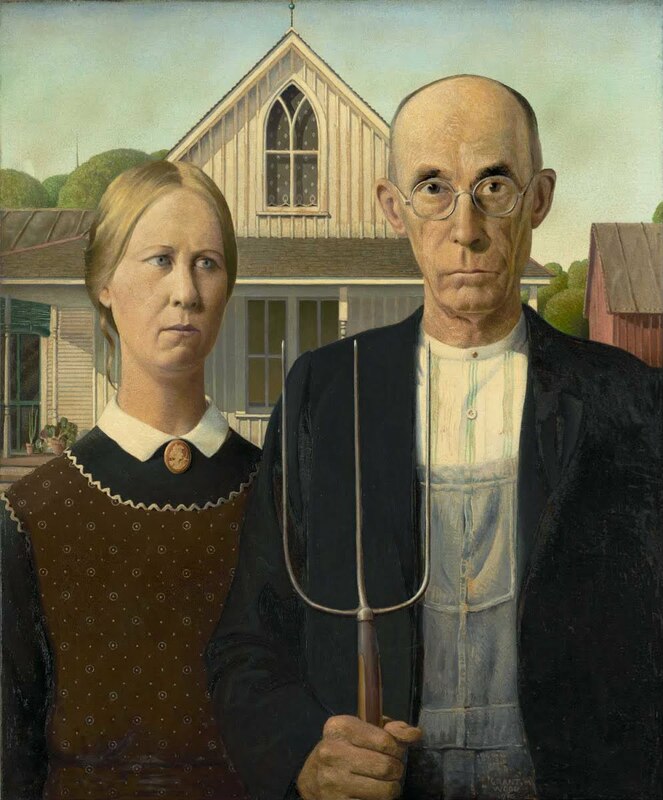 Love the Grant Wood image…kinda a grim-looking couple, but then life on the farm was tough back then. I take it you are not a fan of three. 🙂 Love your take on three’s a crowd. I love the personification of Huns you used, and I honestly like the way you delivered the message. Perhaps it is a personal preference, but it is just the way it is, I think you delivered a message, proclaimed a belief, but in a very humorous, light-hearted and non-judgemental way. I enjoyed the sharp wit in this one! In this life, I have almost always been the third wheel. The driver for friends with their dates. The person they invite along because they feel sorry for her. being alone. Also, don’t ask how I know this, but threesomes are definitely not what they’re cracked up to be in “adult” movies. Thanks so much for your kind words at the Poetry of the Netherworld blog. Hee-hee-hee. I enjoyed this ditty. The terza rima works well for this. Though I can think of several people who will argue with you about the threesomed bed. *Grin. * Perfect for the illustration, and vice-versa. I love the way you close this…causes one to ponder the “deal breaker” aspect of three…sometimes that other perspective is definitely necessary. Great rhythm and rhyme throughout. This is so clever and droll and chuck-a-block full – and that Terza Rima three-line rhyming scheme form is just too brilliant (going in that direction in the first place and then pulling it off with such pluck and panache). One of your best of .this type, I think.